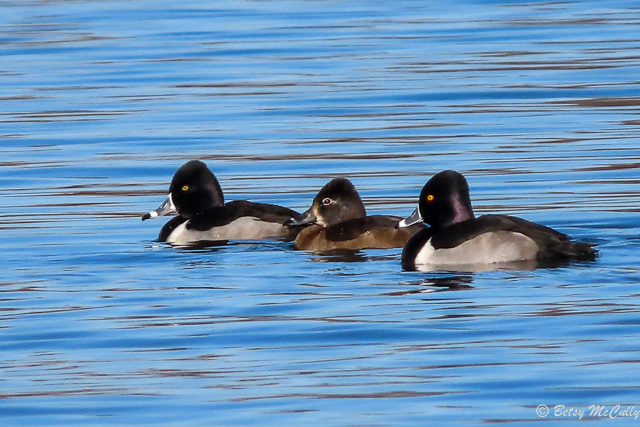 Ring-necked Ducks, males and female. Lakes and ponds. Winter visitor.